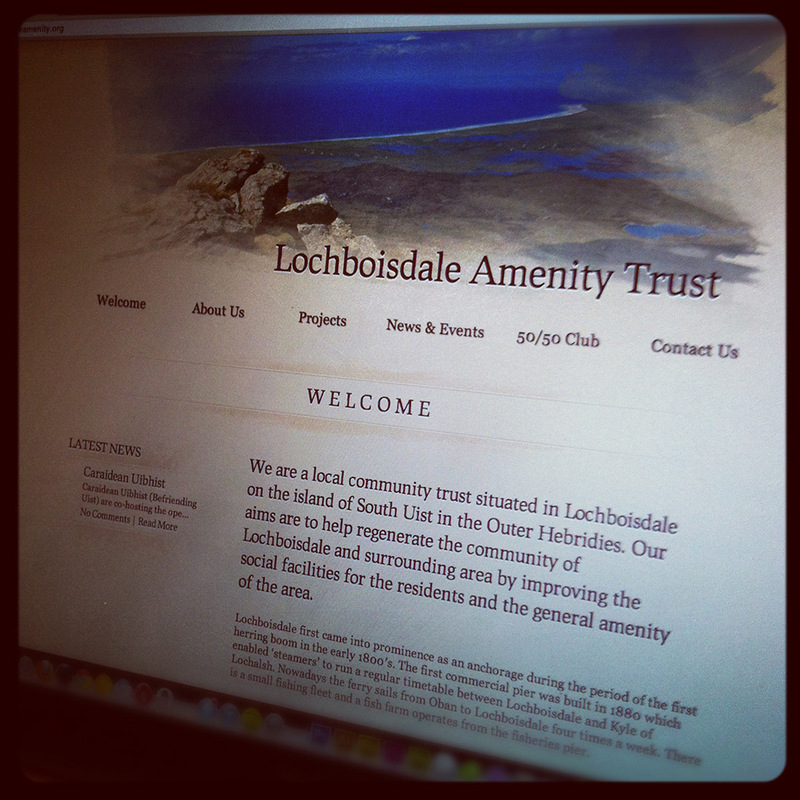 In August 2011, I was approached by Members of the Lochboisdale Amenity Trust, in need of a website. After some discussion, they seemed very open and I had a few ideas that seemed innovative, as well as keeping the design in context with the Hebridean scene. I wanted to use this opportunity for working on something full of vibrance in its design, as well as expand my knowledge on WordPress. I decided to keep the design simple, but one request was a header image different on every page. I didn’t see this as a problem, if anything, I wanted to use that as a chance to do something nice as a design, and add to the theme. The Design was very rich is browns and had watercolour style textures over them. I decided to use the same style of texture on the images, as to blend to the page grain nicely. Lochboisdale Amenity Trust were very happy with the result, and I had a great time working with them. I enjoyed their input and their own take on the project, and I’m glad I managed to achieve their every need for the website.